Rescue dogs are amazing dogs. I’ve had dozens of foster rescues in my home over the years, and two of my three dogs are rescues. Rescue dogs come with stories, known or unknown, and your new rescue dog may carry baggage from a previous life, but a rescue dog who needs some loving rehabilitation will know that he has been rescued and will appreciate the love and energy that you put into him in a way that a puppy just can’t. 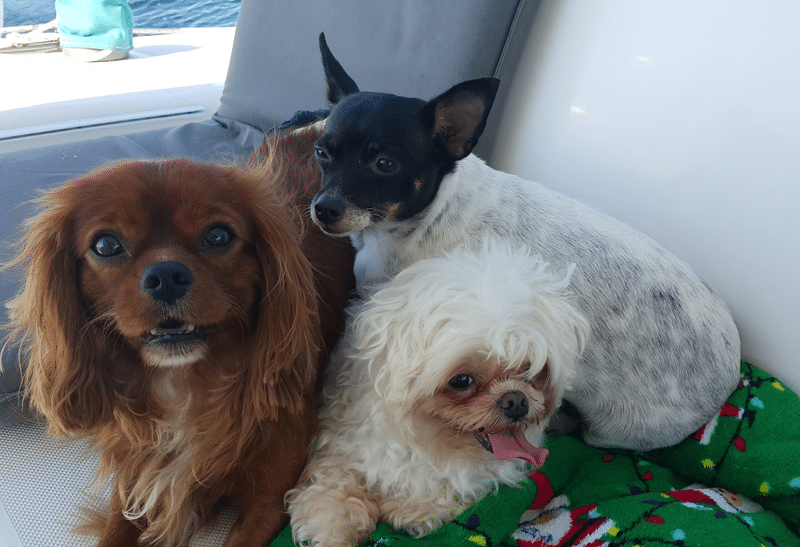 Keep reading to learn about my rescues, how I came to have them, and what they have had to overcome to become happy family pets. 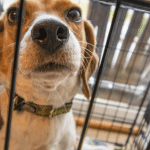 Often, when you begin the search for a rescue dog, you have some idea of what you want in your new dog, but you really aren’t exactly sure what you will find. 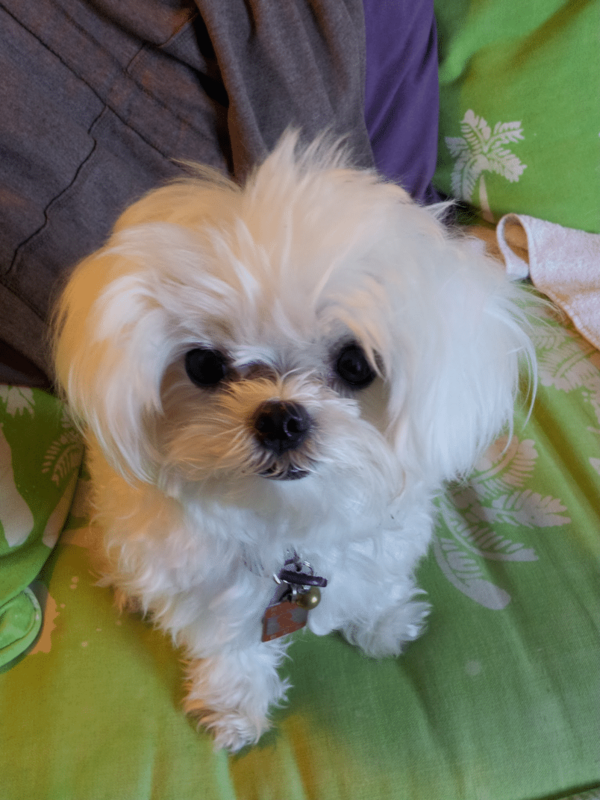 When my fiance and I began looking for Lisa, we knew we wanted a small, young dog to be a companion to our Sofie, a five-pound Maltese mix. We also wanted a rat terrier mix, since we had fostered Iris in college. Iris was a rat terrier whom we became particularly attached to. We admired that dog’s ability to befriend anyone, even the kittens we also raised at the time. She was the first dog that really cuddled with me, and if we could have kept her, we would have. 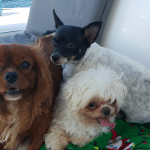 It is natural to base your choice on a dog you have liked in the past, but as we learned, you must be careful about making too many assumptions about a new dog based on one you knew before. I saw Lisa’s picture on a pet finding website and my fiance and I went to the local Petsmart to meet her. 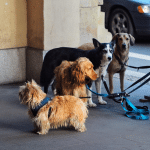 Getting a sense of a dog’s personality in a crowded pet store, with restricted movement, surrounded by other barking dogs, can be extremely challenging. Lisa was understandably nervous, but there was a sweetness that shone through her anxiety and won us over. We had gone to look at other dogs at rescues, but none had quite seemed like the right fit. Lisa was playful despite being nervous, and she had a way of playing with her paws and a sweet cuddly habit of nuzzling into your lap. She was tiny, even smaller than Sofie. She was around nine months old, so we were confident that she would remain small. We spent about an hour with her, then filled out the paperwork and took her home. We soon found that she was extremely fearful. She was afraid to come in the house, and once in, afraid to come back out. She sometimes responded to being picked up with horrible screaming, and could be growly on the couch when someone tried to move her. Sofie and Lisa didn’t warm up to each other as quickly as we had hoped. Lisa was highly competitive, and always worried about losing whatever she had. 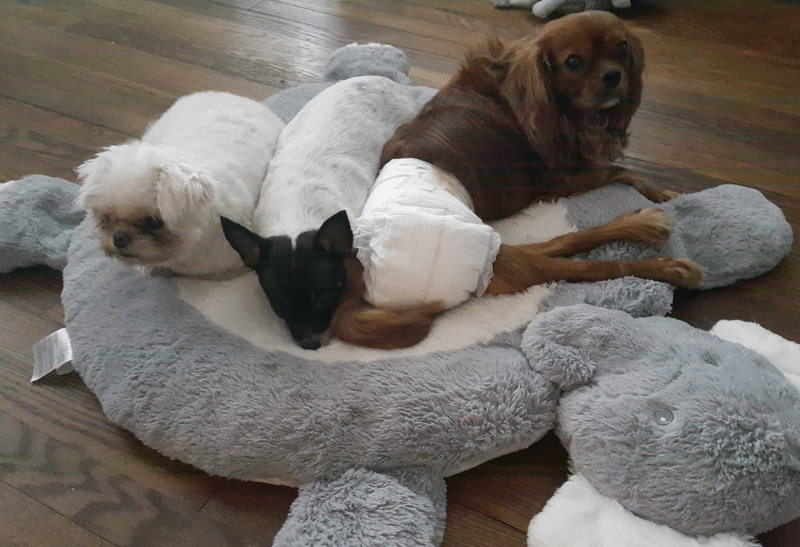 Sofie, who had been raised with everything that she could ever want, didn’t understand this attitude about things, and often stumbled into Lisa’s bed, toys, or chews in a way that incited a tantrum from the younger dog. Lisa is a clever dog, and she learned quickly, both by instruction and example. She watched Sofie and soon mimicked her ways of asking to go outside and come back in. They learned more subtle communication and developed understanding with each other. Slowly a play language developed, and an infraction on Sofie’s part into Lisa’s bed or food was met with a raised lip instead of a snapping snarl. Sofie also learned to stand her ground with her favorite toys and chews, and their interactions became full of play, with the occasional glare to communicate “stay away”. We did drills with Lisa having all our friends and family pick her up and put her down, and instructed everyone firmly to never put her down if she was making a fuss, but always calmly hold her until she was calm. With some patience on the part of friends and family, Lisa quickly made rapid progress. She can still be squirmy, but the screaming is a thing of the past. It is common for rescue dogs to have ways of dealing with fear that is not appropriate for their new lifestyles. I don’t know where Lisa came from, but I suspect that sometimes being picked up wasn’t a pleasant experience for her, and that yelling and even nipping at the hands of the people picking her up was an effective way to be put back down. Once she learned these principles she was able to greet and be picked up by new people without trouble most of the time. Another problem Lisa had initially was a fear of coming when called. I think that perhaps she was potty trained punitively, and probably inconsistently so that Lisa didn’t know what she was being called and punished for. This generalized to a fear of ever being called. Lisa would come right to you if you didn’t call her, but the moment you asked her to come, she would perform an incredibly frustrating dance just out of your reach, before finally submitting to crawl helplessly toward you. Annoying as this was, it could also be dangerous. We knew that Lisa would run in circles around us if she ever got away. If ever she jumped out of the car in a parking lot, got out of a harness on a walk, or slipped out the gate when friends arrived, we would have a very hard time getting her back, and she would be unlikely to notice a coming car. With consistent treat training and cuddles, Lisa worked up from coming when I was sitting on the floor, to crouching, to standing. She still only goes up to strangers about half the time, and friends and family around 75 percent of the time, but with my fiance and I she has good recall. She always wanted to come, after all, it was just a matter of helping her overcome her fear. Some issues continue. Lisa can be very reactive to other dogs, especially on leash. 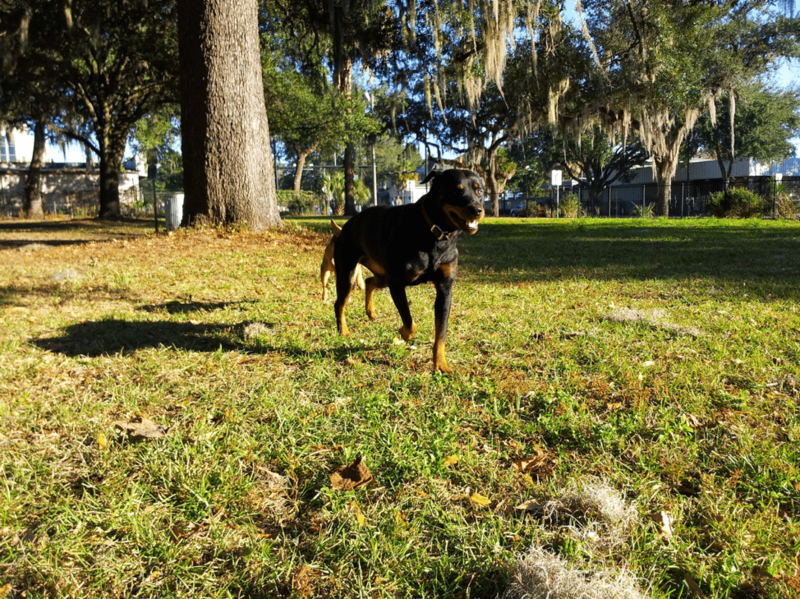 While she has never done any harm, she has certainly startled a number of dogs, most of which take it in stride, recognizing fearful reasons for the behavior. We are continuing to work on this behavior with treats to distract and reward for calmness, and she is making strides. 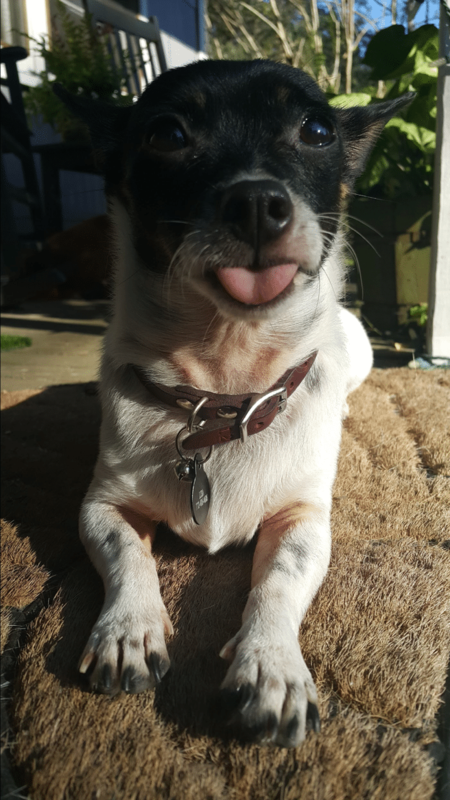 She gets some fun, I think, out of the bluster and show, and that can make it more difficult to reverse the behavior, since it is not purely a negative experience for her to bark at and startle other dogs. We must teach her that it is more fun to play with other dogs, and that can be a difficult thing to teach a dog who doesn’t know it. When Winston came into our lives, Lisa found her new love. She adores Winston. He is her substitute puppy to be cleaned and fussed over, her safe place to cuddle and feel comforted and confident, and her playmate, all in one. They are constantly together, and teaching them both independence has had to be an active training regiment. Winston is Lisa’s opposite in many ways. Where she is nervous, he is confident. Where she is anxious of new people and situations, he throws himself into every environment he enters with gusto and meets every new person and dog with enthusiasm. Winston came to live with us when he was nine months old, making him nearly the same age as Lisa. 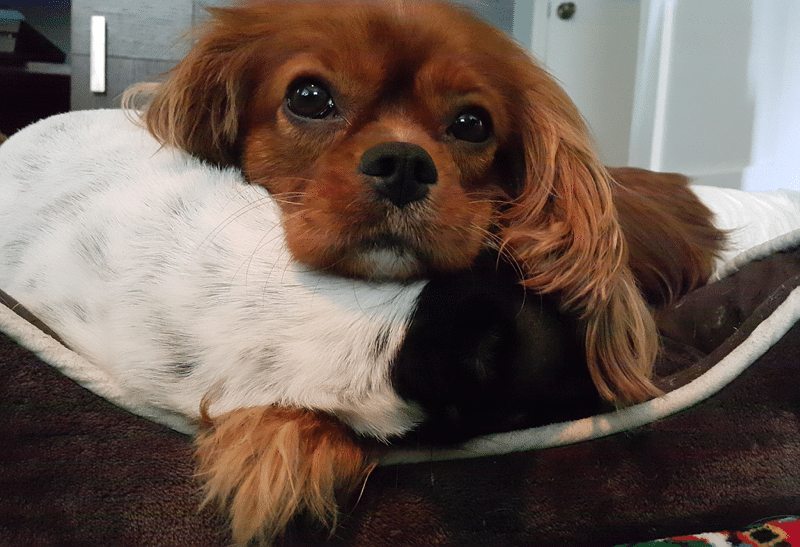 He is a purebred King Charles Cavalier, with both parents registered with the AKC. He and his brother were bought by a couple and he lived with them until he was nine months old, when he abruptly became paralyzed in the hind due to a suspected Fibrocartilagenous Embolism. It is unlikely that a traumatic event caused the injury. Rather, a congenital weakness finally gave way, leading to paralysis. Observers said he was running and abruptly went down. Such conditions are not very uncommon in long backed breeds like the dachshund, basset hound, and King Charles. I met Winston while I was working at the UF Small Animal Hospital. He stayed at the hospital for over two weeks while he received therapy and his owners tried to decide what to do and find him another home. He was an adorable puppy, and many people came forward to temporarily foster him, but nobody was ready to make a commitment to adoption. His owners didn’t want to leave his fate undecided, jumping from foster home to foster home. Euthanasia was considered, but he was such an active little dog, despite his condition, and nobody wanted to do that. I can’t completely explain why I decided to take Winston home. Something about his attitude, his zest for life, made me feel good being around him. Besides, I could take him to work with me every day while I was there, so he got the best care. Winston is an unusual rescue, in more ways than his physical disability. Because he was raised with love and perhaps spoiled a bit, he is happy and confident, never worrying about his things or meeting new people like Lisa can be. He has, along with Sofie, been a good example for Lisa about the best attitude for meeting the world. Slowly they are convincing her that it isn’t such a scary place. Winston has had to deal with frustration because of his disability. He has good mobility, due to the motor function in his hips which lets him push himself in a seal like fashion. He has powerful muscles in his front legs and core that let him shoot around the house and yard with the other dogs. He loves shallow water and sandy flats, where he can run and let his hind legs float behind him. Grass and dirt are fun too, but if he gets on the brick or concrete, or just runs too much, he will get sores and cuts on his legs. He wore out one wheelchair and is on his second, but he isn’t a big fan. 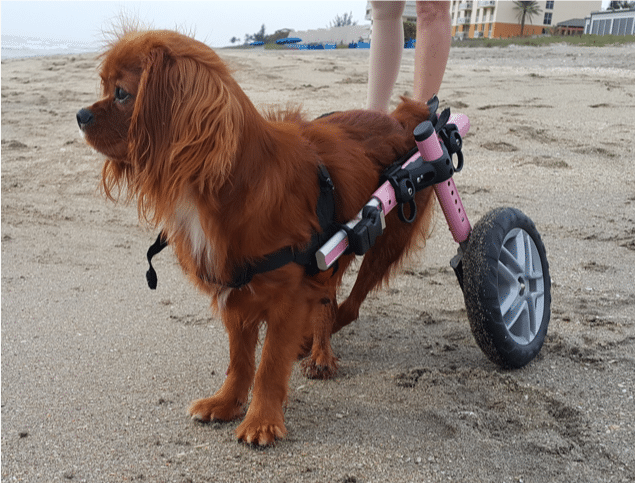 He can go as fast without one as with one, and while a wheelchair can protect his legs, it doesn’t let him lie down comfortably or have as much freedom of movement as he is accustomed to. For this reason he rarely actually uses his chair, and is soon whining to get out when he is in one. The older he gets, the less likely he is to fly down the front porch steps to bark at some passing dog, only to realize that now he has to pull himself back up. Like all of us, he has learned his restrictions. Unlike most of us, he is always pushing himself to do more. If he really wants to go down those steps, you bet he’ll do it, and haul himself back up with determination. Stella was brought to UF Small Animal Hospital when I was working there. She was brought by a good Samaritan who had found her wandering down the street with a rope around her neck. She was taken home by a technician who loved rottweilers, but she quickly found that Stella was too skittish to have at her large ranch. 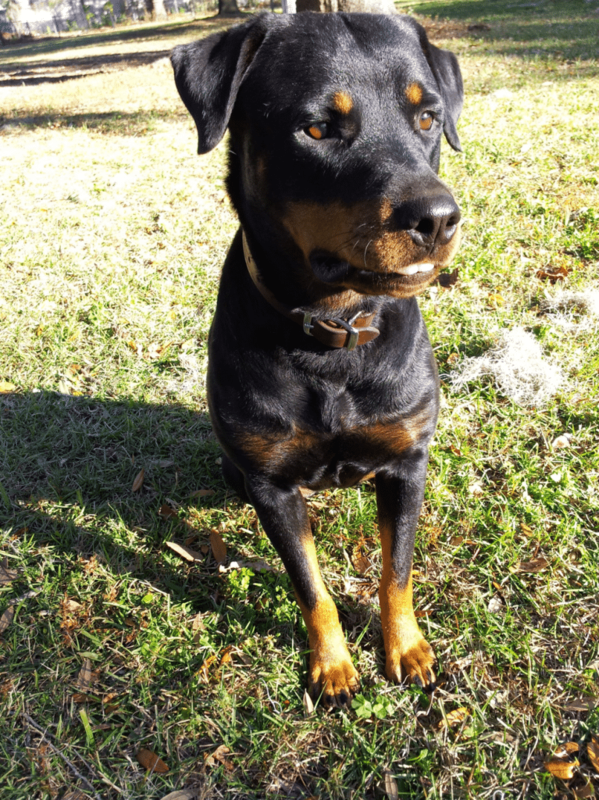 Stella would run for cover for no apparent reason, and it was next to impossible to get the 80-pound rottweiler to come out from whatever bush or shelter she had found. The technician was looking for someone to foster or take Stella, and after weeks of going from home to home, both the tech and Stella were at their wit’s end. I offered to take Stella and began an exhaustive behavioral rehabilitation. Using the right walking equipment, I was able to control her. I rewarded her with affection and tasty treats for sitting next to me when she was scared instead of bolting, and in time she stopped being reactive to most of what she encountered on a walk, even in a busy urban environment. She loved people, and having strangers pet her helped a lot, as did the company of other dogs. One of her favorite things was going to the dog park. I watched her become a happy, confident, smiling rottie. She seemed almost to double in size as she puffed out her chest and lifted her head. Soon I was able to exercise her on a skateboard, trusting her completely not to bolt. Once I could walk her easily on a loose leash and trust her not to bolt off leash I knew it was time for her to find her forever home. She was a beautiful, sweet dog, and I knew someone would adore her. She found her forever home with a wonderful family and their two large bully dogs, with a large house and fenced yard. Now she spends her days cuddling with a loving family on the couch and playing boisterously with her two housemates, who are big enough to engage her in good wrestling matches. She is a far cry from the terrified dog I took home. 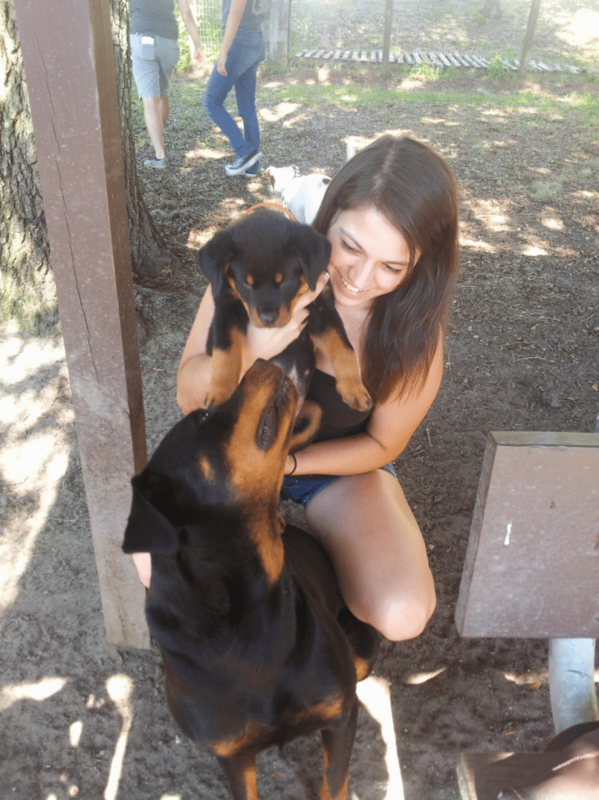 It was nerve-wracking to take on a skittish rottweiler, and heart breaking to let her go, but knowing I made a difference in her life and helped her find a perfect home was one of the most rewarding experiences of my life. A rescue dog is always a risk. You may deal with problems you didn’t expect. You may not get the breed characterics you were expecting. You also may get a better dog than you knew was possible. You may love your rescue dog like you can’t believe. One thing my dogs have taught me is that life isn’t any fun without some risk. Dogs in foster homes or with pictures and video from outings are more likely to get adopted. Why is that? Perhaps because people are more likely to believe that these dogs are ready to live in a home. My goal is to increase awareness of the foster program, decrease stigma around shelter dogs, and get more dogs into foster homes and out with volunteers by showing that individual dogs are well-behaved in homes and in public. Coral Dogs is my program to accomplish this in the following ways. Consistent relationship building, training, and socialization. Because I take these dogs out regularly, I get to know them better and can develop more consistent training, making dogs more adoptable. Targeted marketing. 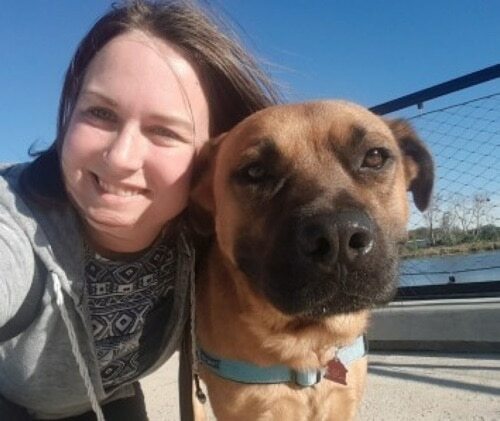 Regular social posts and deliberate outreach on behalf of a specific dog may be more likely to get attention than sporadic posts about various dogs. Progress reports. As I work with dogs, I gauge their progress so that I can make meaningful statements about their current training level and ongoing progress. I train using positive, relational methods. I am not a certified trainer and do not work on significant behavioral modification. I use simple, positive methods to help well-adjusted dogs develop self-control and basic training skills. I use whatever motivates the dog at the moment, whether it is treats, toys, affection, or freedom. I never punish or reprimand. 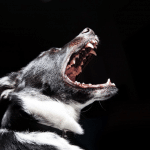 If I want to change a dog’s behavior, I will use a verbal marker like “Eh” or “Nuh uh” and stop the unwanted behavior by taking the dog out of the situation or preventing her from performing the undesired behavior. I believe that active bonding and relationship building are the foundation of a positive relationship with any dog. Rescue dogs are loving, adaptable dogs, capable of making huge changes and truly appreciating you for the time you invest in them. 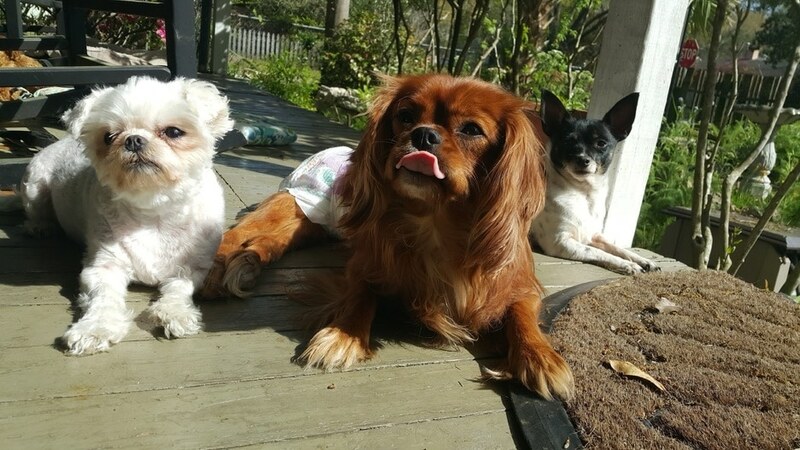 Would I have loved my dogs any less if they came without issues? Maybe not, but I certainly couldn’t have loved them more, and I wouldn’t have learned nearly so much. Take a chance on a dog who really needs you, and you may find the best dog you could have hoped for.